Join Master Artisan, Cathy Claycomb, for this live, two-hour Gla..
Join Master Artisan, Dennis Brady, for this two-hour Glass Expert Webinar™ o..
Join Master Artisan, Scott Ouderkirk, for this BRAND NEW, live, .. Please join GPQ for a live Webinar with glass artist and teacher, Lisa Vogt on Tuesday, May 14..
Join Master Artisan, Barry Kaiser, for this two-hour Glass Expert Webinar™ on Thursday, ..
Join Master Artisan, Dennis Brady, for this live, two-hour Glass Expert Webinar™ on .. Please join us for a live, Master Glass Artisan Lecture SeriesTM entitled Glass Compatib..
Join Master Artisan, Dennis Brady, for this live, two-hour Glass Expert Webinar™ o..
Join Master Artisan, Gil Reynolds, for this two-hour Glass Expert Webinar™ on Thursday, June 13..
Join Master Artisan, Joe Porcelli, for this two-hour Glass Expert Webinar™ on Thursday, June 2.. 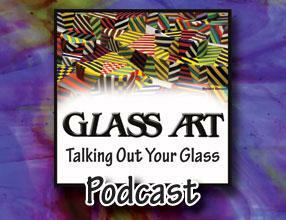 Please join GPQ for a live Webinar with glass artist and teacher, Lisa Vogt on Tuesday, June ..
Join Master Artisan, Michael Dupille, for this live, two-hour Glass Expert Webinar™ on Thursday.. Please join GPQ for a live Webinar with glass artist and teacher, Dennis Brady on Tuesday, Ju..
Join Master Artisan, Susan Hirsch for this live, two-hour Glass Expert Webinar™ on Thursday, Ju..